12 JunHow Often Should You Refresh Your Homepage? How often should you update a homepage? For many companies with a strong web presence, the question of how often you should update the homepage is an ongoing debate. How often you update the homepage depends on the type of business and on the goals of the company. To prevent your team from spending too much time, make sure the homepage update schedule aligns with the cadence of the business as a whole. Do weekly updates really make sense if your average user only visits the site once per month? For example, an online retailer may have an intensified urgency as merchandisers or buyers want to sell more, and marketers want to generate buzz about promotions and upcoming events. Some online retailers run monthly weekly, daily or even hourly promotions on special buys, close-outs and high margin items. How often a retailer should update its homepage or promotional landing page(s) depends on many factors, but more times than not, a company will fall into a cadence (frequency) where a homepage content calendar can be created to correspond with the marketing activities of the company. This way, all internal steak holders (sales, buyers, merchandisers, vendors) can have a place at the table when it comes to planning what will go on the homepage, and when. Even small retailers or those not offering customers the ability to shop online must deal with homepage planning and maintaining a fresh website presence to inform the world about the company and about the products and services it offers. B2B’s tend not to update their homepage as often because the target audience is much smaller (in terms of number of people, but not necessarily in revenue). For this reason, homepage content and creative probably won’t change that often. One to two times per year is normal for most business to business websites – and when you factor in dynamic content feeds like social media which appear to update as new social media content is created, a company with less traffic may benefit from focusing homepage content on one, maybe two primary objectives and leave it at that. Lead generation is one of the most common objectives of a B2B website, and by displaying dynamic content that updates automatically, a B2B can get away with fewer homepage updates (and fewer marketing resources). For example, if a website gets 20,000 repeat visitors per month, and those repeat visitors visited on average of 2.2 times per month, then its safe to plan for two homepage refreshes per month. Of course, there will always be the occasional unplanned update. That is normal. But if the average user is only visiting once per month, and homepage updates occur every week, a company may be spinning its wheels. While content updates are good for keeping a website fresh, updating the homepage too often can become a never ending cycle of rushing to figure out what should replace it. Feeling the need to constantly refresh homepage creative is a common pitfall. 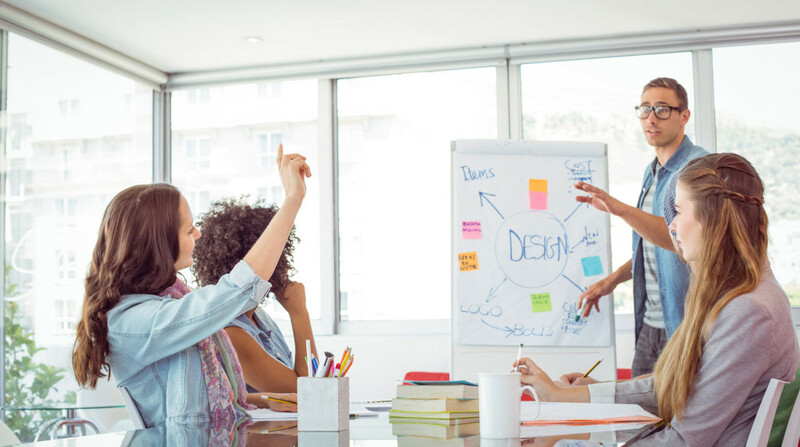 Those working with a company are the first ones to get sick of looking at the same thing every day, and what feels long in the tooth may be new and fresh to most visitors. Why Isn’t My Homepage Banner Converting? Sometimes, the real question doesn’t revolve around how often you should update homepage creative. Instead, it’s a matter of effectiveness. If your homepage creative is producing clicks and converting traffic, let it ride. Don’t fix what isn’t broken. On the other hand, if the primary real estate on your homepage is not converting or getting that many clicks, then perhaps it’s time to try something else. Does the messaging live up to the visitor’s expectations? Is it the right promotion? Does your team embrace testing as a culture? Capture their attention within the first 3 seconds. Using too many calls to action or busy graphics (callouts, bursts, snipes, highlighted text, underlines, etc.) can overwhelm the eye. What do you want them to do the most? Everything else should support this behaviour. Does the messaging live up to visitors’ expectations? If your homepage visitors are expecting to see one thing but find something else altogether expected, they might bounce. Facing this question can be tough. You’ve worked hard to come up with an idea. If you’re spending more marketing dollars to produce the promotional creative than amount of sales it generates, nix it and move on to the next test. Because that is what each and every marketing program should be viewed as by the organization. Each promotion, sale and event is an opportunity to test and learn more about your target audience. Where are your visitors clicking? What is causing some to convert and others to bounce? Gather the data and analyze it. What is it telling you, and how can you improve from it next time? This is a heatmap, an online marketing tool that shows areas of the page getting the most clicks. Speaking of data, do you have any? Many retailers test the effectiveness of banner creative and entire page layouts to see where people are looking and clicking. 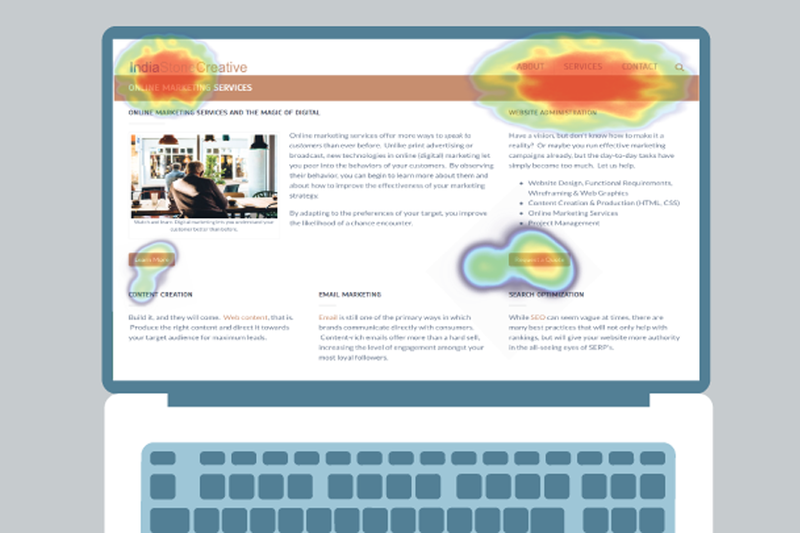 Heat maps, eye tracking and other usability testing will determine users’ actual behaviour, versus going with a marketer’s gut feeling about what’s working, what’s not working and why. Above all, test and learn. Any marketer going into any digital creative project should have on his learning cap first. By understanding how the target audience behaves and what motivates them, you can create more effective homepage marketing.